School of Rock Rochester Summer Camps 2019 – School of Rock Summer Camps in Rochester MI give kids a chance to be part of a real rock band! Kids learn and perform their favorite songs, practice and rehearse daily, record music and perform a live rock show! School of Rock is directed by professional musicians and emphasize fun and creativity for children. Whether your child is a future rock star or just interested in music, School of Rock Summer Camp is the camp for summer music fun! 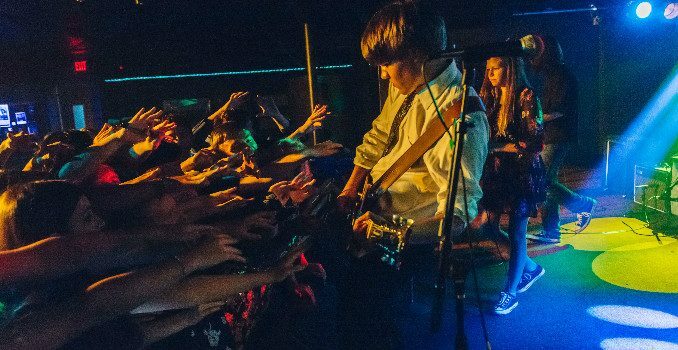 Rochester School of Rock Summer Camps Description – School of Rock Summer Camps emphasize live performance through workshops, songwriting clinics, and group rehearsals. Kids will also learn about playing together in a band and develop stage presence. Kids are directed and taught music by professional musicians in guitar, drums, vocals, bass, and keyboard clinics. Kids will learn elements of writing and composing music and can participate in recording sessions in specific camps! Camp culminates in a LIVE rock show performance for all their friends and family in a rock concert setting! School of Rock offers summer rock music camps for musicians of all skill levels who play guitar, bass, drums, keyboard and vocals. Students ages 7-18 can develop their musicianship and learn new skills in a creative and fun environment! Rochester School of Rock offers a before and after service as well as optional lunch arrangement please call for details!